French language inscription "Banque du Liban" on the headquarter of the Bank of Lebanon. Bank of Lebanon officially Banque du Liban (BDL, Arabic: مصرف لبنان‎‎) is the central bank of Lebanon. It was established on August 1, 1963 and became fully operational on April 1, 1964. It is currently headed by Riad Salameh, who was named the Middle East's best central bank governor by Euromoney in 2005. One of the main responsibilities of the bank is issuing Lebanon's currency, the Lebanese Pound. Other responsibilities include maintaining monetary stability, regulation of money transfers, and maintaining the soundness of the banking sector. Banking is a very important part of Lebanon's economy with over 100 different banks, which makes the role of Banque du Liban particularly important. It currently owns 99.37% of the shares of Lebanon's national carrier, Middle East Airlines. However, plans call for it to sell its stake in the airline by 2008 as part of government plans to privatize many institutions. The government has recently launched an ambitious 5-year economic reform program in hopes to cut the country's debt. The outcome of the reform program will largely be dependent on Banque du Liban. Besides the main branch in Beirut, it has branches in Aley, Baalbeck, Bikfaya, Jounieh, Nabatiye, Sidon, Tripoli, Tyre, and Zahlé. During World War I, the French franc had maintained its status thanks to advances from the British and American Treasuries. However, in 1919, the French franc registered a drop because of the British government's decision to stop these advances, thus breaking the alliance between the franc, the sterling and the dollar, and also because of the United States Government's decision to suspend its regulating role of the associated change rates. In order to replace the Egyptian pound, the French government decided, by Decree N° 129 issued by the High Commissioner on March 13, 1920, to endow Syria with a national currency. 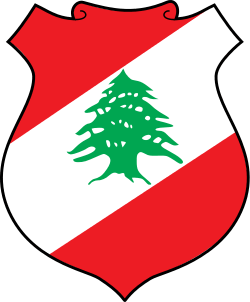 The Banque du Liban was established by the Code of Money and Credit promulgated on 1 August 1963, by Decree no. 13513. It started to operate effectively on 1 April 1964. BDL is a legal public entity enjoying financial and administrative autonomy. It is not subject to the administrative and management rules and controls applicable to the public sector. Its capital is totally appropriated by the State. The BDL is endowed by law, with the prerogatives to fulfill its mission. It can use all measures it deems appropriate to ensure exchange rate stability, specifically the intervention in the foreign exchange market by buying and selling foreign currencies. The BDL controls bank liquidity by adjusting discount rates, by intervening in the open market, as well as by determining credit facilities to banks and financial institutions. It regulates banks' credit in terms of volume and types of credit, by imposing credit ceiling, by directing credits towards specific purposes or sectors and setting the terms and regulations governing credits in general. The BDL imposes on banks reserve requirements on assets and loans as determined by BDL, as well as penalties should shortfalls occur. Investment in TBs may be considered by the BDL as part of the reserve requirements. There is a regular coordination between the BDL and the Government in order to ensure consistency between BDL's objectives and those of the Government. Cooperation with the Government implies coordinating fiscal and monetary policy measures. It informs the Government on economic matters that might negatively affect the national economy and currency and suggests measures that might benefit the balance of payments, the price level, public finance and offers advice on how to promote economic growth. It also ensures the relations between the Government and international financial institutions. A favorable environment has characterized the Lebanese economy in 2003. Lebanon is maintaining its commitment to exchange rate stability and to the soundness of its banking sector, in addition to implementing an ambitious fiscal adjustment program. Confidence was boosted by the successful outcome of Paris-II conference, held in November 2002 with the participation of a number of countries and international organizations. An aggregate amount of US$4.3 billion was pledged in 15-year loans at reduced rates to support the government's economic reform plan for lowering the servicing cost of public debt, which accumulated over the years due to costly reconstruction efforts. These developments led to a significant drop in TBs' interest rates, followed by a cut in commercial banks' average deposit and lending rates in Lebanese pound (LBP) and in foreign currencies. In parallel, USD holdings were being converted on a wide scale into LBP holdings. Moreover, the BOP performance, which started to improve in May 2002, remained on the same trend, with cumulative surpluses exceeding $2 billion at end-April 2003, while BDL assets in foreign currencies stood at more than $10 billion, excluding gold. In the last few months, a strong demand emerged on Lebanese government paper in local and foreign currencies, due to increased confidence, reinforced in April by the Government's ability to pay from the Treasury a maturing $500 million Eurobond issue, without resorting to rollover as in the past. This was accompanied by a positive assessment by the IMF and major international rating agencies, which considered that Lebanon is on the right track in trying to end its economic and financial difficulties, and that its performance in coping with the aftermath of the war in Iraq is the best in the region. In the banking sector, equity capital continued to increase, reaching $3.5 billion at end-April, and pushing the average capital adequacy ratio to 18%. Despite their modest growth, private sector loans attained 100% of GDP, a unique performance in itself. Deposits grew at an annual 11% rate, reaching $47 billion at end-April - more than double the GDP - with a dollarization rate dropping to 68%, from a 74% peak in May 2002. This excellent performance was buttressed by the BDL's efforts to strengthen prudential supervision, paving the way for compliance with Basle-II requirements by a sound banking sector, ready to better manage operational risks, and to improve transparency and good governance. The government's commitment to decelerate the growth of public debt and to reduce its servicing cost was reflected in the conservative budgets of 2002 and 2003. Coupled with measures to achieve the highest possible proceeds from privatization and securitization, this strategy will be pursued over the medium term, expectedly leading to a public finance recovery. 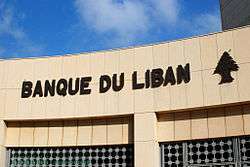 The Banque du Liban is managed by the Governor who is assisted by four Vice-Governors, as well as by the Central Council. The Governor is the legal representative of the Banque du Liban, and has extensive authority on the management of the Bank. He is entrusted with the enforcement of the Code of Money and Credit, and the implementation of the Central Council's resolutions. Upon the proposal of the Minister of Finance, the Governor is appointed by decree sanctioned by the Council of Ministers, for a renewable six- year term. After the consultation with the Governor and upon the proposal of the Minister of Finance, the Vice-Governors are appointed by decree sanctioned by the Council of Ministers for a renewable five-year term. They assist the Governor in managing the Bank, carrying out functions specified by the Governor. In addition, they assume their duties as members of the Central Council. The Central Council sets the monetary and credit policies of the Bank, including money supply, and discount and lending rates. It discusses and decides, among other things, on issues concerning the banking and financial sectors, the establishment of clearing houses, the issuing of currency and on loan requests by the public sector entities. Aug. 22, 2013, Central Bank of Lebanon issued the new investment policy called "Circular No. 331". This aim to support Lebanon’s knowledge economy by providing support to the thriving startup ecosystem. With this audacious move, Lebanon’s Central Bank hopes to increase the country’s GDP, decrease unemployment and position Lebanon as the tech hub of the Middle East. Circular No. 331 encourages commercial banks to invest in start-ups. The BDL will guarantee up to 75% of the value of these commercial bank investments in the capital of start-ups that meet the determined criteria. Here are some of the start-ups that are innovative Lebanese companies working in the knowledge economy sector and have contribute to creating jobs. MEVP - is a Middle East-focused venture capital firm that invests in the early and growth stages of innovative companies run by talented entrepreneurs Walid Hanna and Walid Mansour primarily, but not exclusively, in the Middle East Region with a focus on the GCC and Levant markets. Berytech - a Lebanese tech focused business development center, has recently announced a $50 million investment fund, the Berytech Fund II. Berytech incubator is led by chairman Maroun Chammas. Leap Ventures - is a growth stage Venture Capital firm in the Middle East and North Africa, based out of Beirut and Dubai. Leap Ventures looks to make investments in innovation & technology startups from the MENA region that have reached the series B stage: startups that have established a market presence and are seeking to dramatically accelerate their global market penetration and commercialization. Leap Ventures is led by founding partners Henri Asselly and Hala Fadel. Presella - an event management technology startup with the primary focus on a paperless e-ticketing platform for the MENA region. The platform is supported by a Last minute ticket mobile application and an in-event door management application. APPS Currently in closed Beta in Dubai & Beirut. My ME - is a socially-responsible, personal travel planning service that helps guests design and implement trips to the Middle East and the Eastern Mediterranean based on their own travel dates, travel preferences, and personal style. My Middle East - prepares personalized travel plans to Egypt, Lebanon, Syria, Turkey, and Croatia ( and soon other destinations). Kashida - is the first registered company in the world to transform the Arabic letterform into evocative, functional 3D design pieces. They offer contemporary home décor accents, furniture, corporate gifts and event souvenirs to create a more personalized living/work space for our B2B and B2C clients. Egnyt Technology incubator managed by Samir Chreim. Egnyt recently opened 2,500-sqft business incubator in Beirut that is meant for enterprises focusing on technology. According to the circular, the total participation of any bank in start-ups may not exceed 3% of the bank’s capital, provided the participation of any bank in a single start-up does not exceed 10% of the aforementioned 3%. Thus, commercial banks must invest in at least 10 start-ups if they want to benefit from all the facilities provided to them by BDL. ↑ "Lebanese Central Bank pushes start-up investments - Al-Monitor: the Pulse of the Middle East". Al-Monitor. Retrieved 2015-11-16. ↑ Megaphone, Startup. "BDL Circular 331: Injecting $400 Million into Lebanon". Startup Megaphone. Retrieved 2015-11-16. ↑ "What the Central Bank of Lebanon's new investment policy means for…". wamda. Retrieved 2015-11-16. ↑ "Let the investment games begin - Executive Magazine". Executive Magazine. Archived from the original on 2015-09-16. Retrieved 2015-11-16. ↑ "MEVP's IMPACT Fund announces $12.5M investment in 5 Lebanese tech…". wamda. Retrieved 2015-11-16. ↑ "Berytech Fund II Launches with $50M". Arabnet. Retrieved 2015-11-16. ↑ "$71 million Leap Ventures fund officially launched at ArabNet 2015 - Zawya". www.zawya.com. Retrieved 2015-11-16. ↑ "Presella first to benefit from BDL's circular gets 300k investment". wamda. Retrieved 2015-11-16. ↑ "Lebanon's top 20 entrepreneurs 2013 - Executive Magazine". Executive Magazine. Archived from the original on 2015-12-01. Retrieved 2015-11-16. ↑ "SCAS Inc. To Launch Technology Incubator". Yahoo Singapore Finance. Archived from the original on 2015-11-17. Retrieved 2015-11-16.